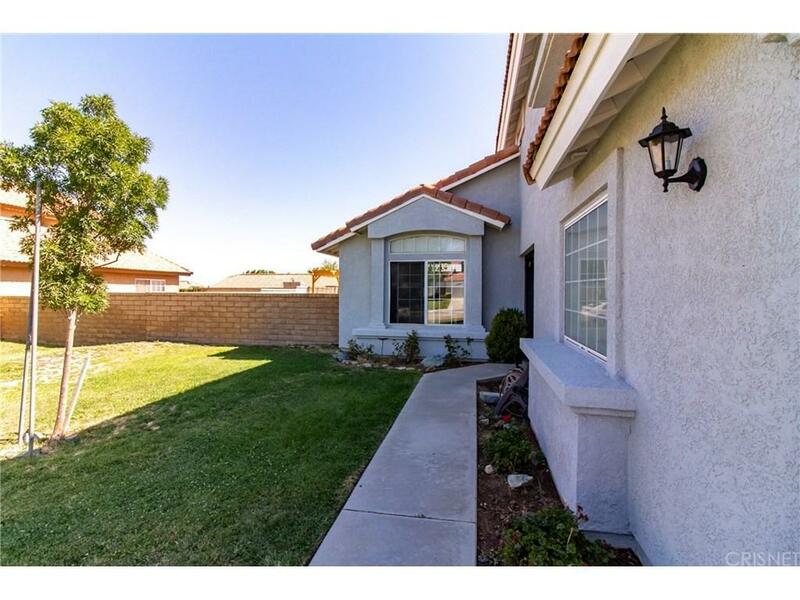 Awesome West Palmdale Pool Home. 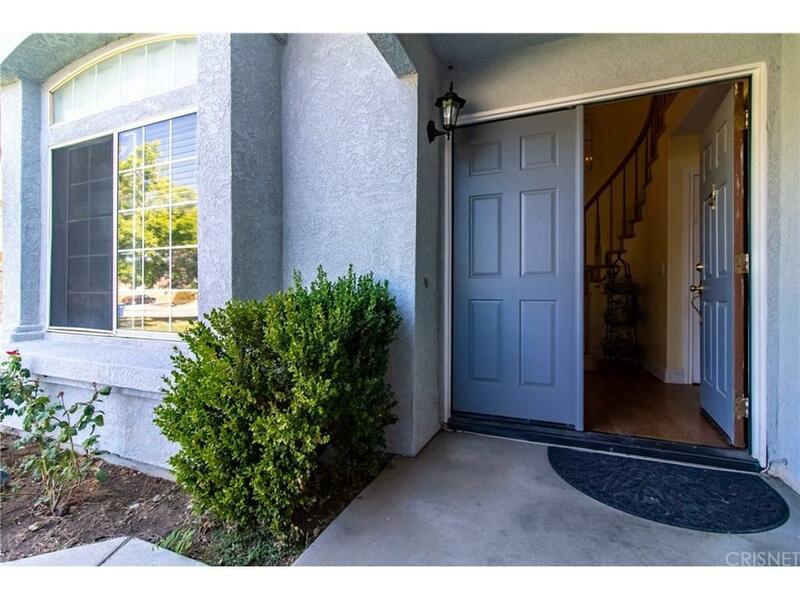 5 spacious bedrooms and 3 full bathrooms with one bedroom and bathroom downstairs. Double door entry into the formal living and dining room with hardwood floors & vaulted ceiling. Spacious family room with fireplace & wet bar open to informal dining room and kitchen with double oven, center island & garden window overlooking the back yard pool & spa. Downstairs has a spacious bedroom, full bathroom with door to outside (convenient for pool use), as well as a laundry room with sink & plenty of cabinets. 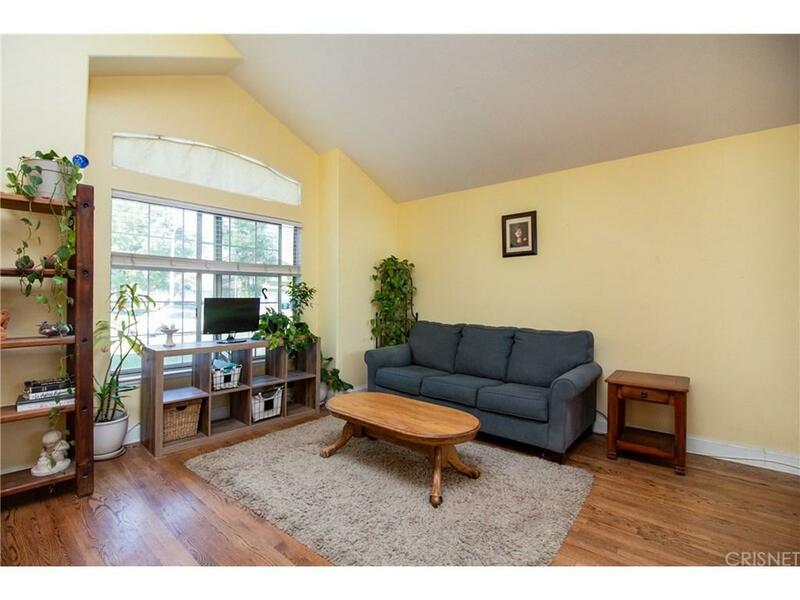 Upstairs is a massive master retreat with vaulted ceilings, office/retreat area with sliding glass door to balcony. Attached master bathroom has a separate bathtub & shower, double sink vanity with lots of counter space as well as large walk in closet. All 3 secondary bedrooms are spacious. Guest bathroom has a bathtub/shower combo. The backyard is amazing with flagstone patio, an in ground pool & spa with waterfalls, covered freestanding patio, large side yard with block wall fencing all around. 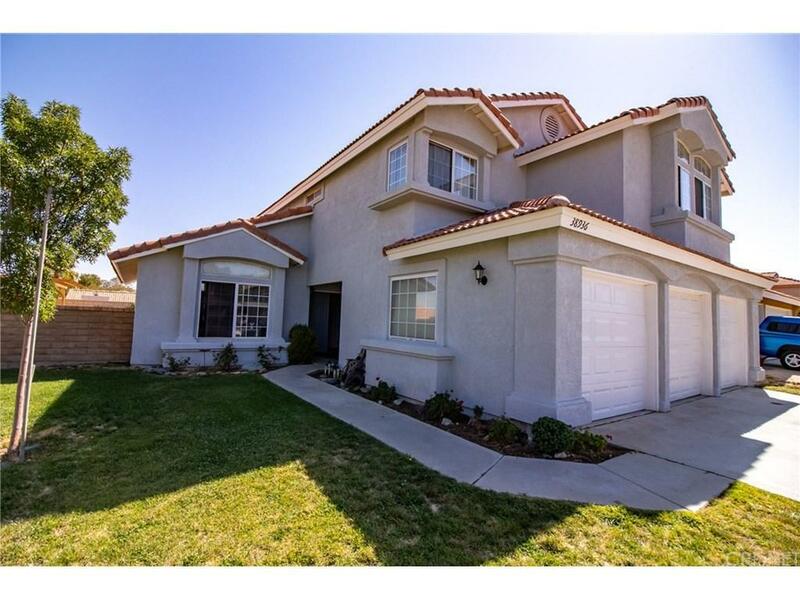 Sold by Karen Goddard BRE#01093560 of Berkshire Hathaway Homeservice.